Hey look, theres a mushroom in the background! Thats not even funny, that's legit. Two long-lost Brothers discovered without the need for Oprah or Maury! 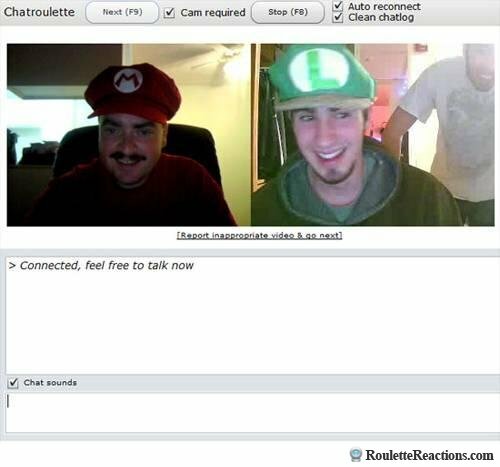 Chatroulette Result! I'm impressed they managed to get the same grin. Norsk? Øøøh, hva er det jeg ikke har fått med meg? luigi is so cute! lol i dont get the mushroom in the background blah. im stupid. lol luigi is like,"hehe, well this is kinda awkward..."
What did the anti-joke say to the joke?